Little Rock shoppers who are looking for a luxurious sedan just struck gold with the 2018 Jaguar XE. This high-performing sedan offers a number of engine options for drivers to choose from. With two available gas engines and an available diesel engine, there is something for everybody. For those adrenaline junkies who are looking to get a big kick with every tap of the gas pedal, the available 3.0-liter supercharged V6 engine churns out a whopping 380-horsepower with ease. Looking fresh on the streets comes naturally to 2018 XE drivers. Love at first sight is an understatement, as all those who lay eyes on this beauty won’t stop thinking about it. 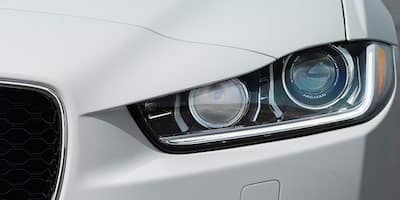 With an aerodynamic design and available Adaptive Xenon headlights with LED Signature, this sedan can cut through the air with ease all while being being recognized a mile away. Inside, passengers will have sensory overload. From the premium quality materials to the 15.9-cu-ft of trunk space, everybody and everything can fit comfortably. The 2018 Jaguar XE is more than just a beautiful face, it is also stacked with a wide variety of innovative features. Jaguar shoppers near Benton can take advantage of InControl Touch multimedia system, which is displayed on the eight-inch touchscreen. This technology allows travelers to utilize audio, climate, and navigation with the simple intuitive touch and swipe controls. It is important to stay connected out on the road today, and thanks to the XE, it is easier than ever before. While luxurious features are enjoyable to talk about, it is always a good time to talk about safety. Jaguar Little Rock cares deeply about the safety and security of each of our customers which is why the 2018 XE is stacked with standard and available safety features. With the available Lane Keep Assist & Driver Condition Monitor, drivers will have an extra pair of eyes, keeping them out of harms way out on the road. Motorists shouldn’t have to worry whenever they get behind the wheel, and these features can help take the worries away. 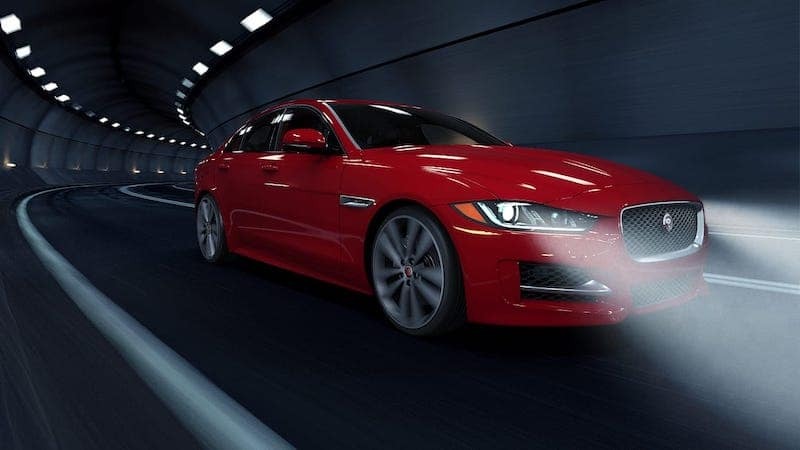 For more information about the 2018 Jaguar XE, contact Jaguar Little Rock at (833) 664-6125 to schedule a test drive.